Celebrate the release of the new SlotoCash Spring Magazine with an exclusive 100% low wagering bonus with 100 added free spins for the Three Stooges slot game! Redeem the bonus code 100STOOGES100 before your next deposit of $30 or more and claim it once per month until May 31st, 2019. 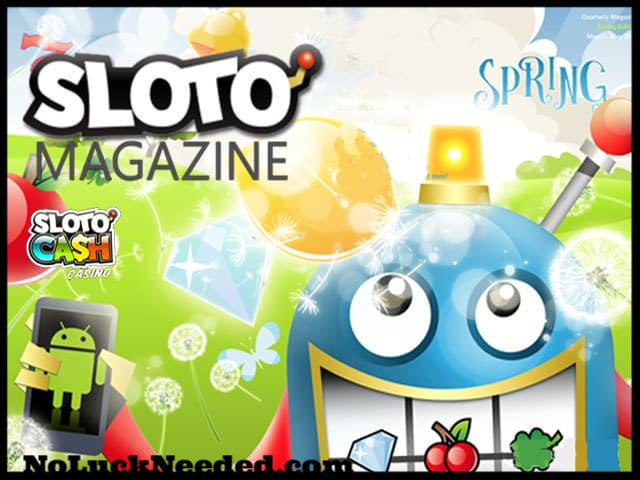 Sloto Magazine subscribers who qualify may claim a $21 free chip freebie with the coupon code SPRINGINTOLUCK. Good luck! Claim Your Three Stooges Free Spins and Bonus from the SlotoCash Magazine! I have made a few very nice hits on that 3 stooges game. The bonus rounds can pop off sometimes.